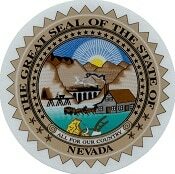 Nevada is now one of the friendliest states for knife owning as well as knife carrying issues. There are no knives illegal to own or to carry here (except some restrictions) from Nevada’s latest updated statutes of 2018. But most of the popular sites still have not updated these new laws. To know more about the Nevada knife laws, we are here to provide you with the most updated statutes comparing with the old laws and the proper explanations. What was the Old Law? According to the old knife laws in Nevada, belt buckles which are also commonly known as switchblades, metal knuckles, slung shots, sand-club, billy etc. were restricted or illegal to manufacture, sell or purchase and to own. It was illegal to carry concealed dirks, daggers, machetes, any knife similar to the belt buckles and any other dangerous weapons or knives. Now the belt buckles or commonly known as the switchblades are no more illegal or banned here. So, there is no illegal knife remains in Nevada to possess. Only some instruments that have the characteristics like knives to some points still have the restrictions to possess or manufacture and all about that. Even there are no restrictions remain now to carry concealed dirks, daggers, and belt buckles or similar to that. From the updated version, the restrictions only remain on the blackjack, slungshot, billy, sandbag or metal knuckle and sand-club. Manufacturing, importing, selling/purchasing, possessing, giving/lending these mentioned weapons are illegal in Nevada now. It is also illegal if someone intends to harm anybody or possess and use a nunchaku or trefoil. These two instruments basically are martial arts’ weapons. Nunchaku and trefoil are similar like the throwing stars. So, using or possessing these two are also illegal if you have a bad intention. Nevada revised statutes Title 15. Crimes & Punishments code no: 202.350 mentions about all these facts. It is legal to open carry all the legal knives anywhere except for the schools, government buildings and in the courthouses. The only restriction to carry concealed knife is for the machetes. Machetes are generally known as the short swords. So, it is illegal to carry a machete concealed upon anyone. Violating the laws mentioned earlier is of gross misdemeanors if these are about the first offense. And if anyone violates the laws subsequently, it will be a Class D felony. The code 202.350 tells about the punishment also. (1) For the first offense, of a gross misdemeanor. Though Nevada has updated its knife possessing and carrying laws and there are no banned knives here so far, there are some restrictions using some deadly or dangerous knives. If anyone carries or uses deadly weapons or knives unlawfully especially the dirks, swords etc., accompanied by two or more persons, in accordance with the threatening, rude or angry manner and starts a fight or quarrel or any hazardous situation (except for the self-defense), it will be guilty of a misdemeanor. And in that case, any sheriff or any peace officer will not be held to answer while during their lawful discharge of duties. “Nevada Revised Statutes Title 15. Crimes and Punishments § 202.320: Drawing deadly weapon in threatening manner” explains this thoroughly. “1. Unless a greater penalty is provided in NRS 202.287 , a person having, carrying or procuring from another person any dirk, dirk-knife, sword, sword cane, pistol, gun or other deadly weapon, who, in the presence of two or more persons, draws or exhibits any of such deadly weapons in a rude, angry or threatening manner not in necessary self-defense, or who in any manner unlawfully uses that weapon in any fight or quarrel, is guilty of a misdemeanor. It is illegal to carry dirks, daggers, and switchblade knives, blackjack and metal knuckles, nunchaku or trefoil on the school premises including the kindergarten section to higher education and also in the vehicles of schools. It is guilty of a gross misdemeanor if anyone violates the law mentioned above. If anyone has the written permission from the authorized personnel. These people can carry the prohibited deadly weapons or knives on their duties without any difficulties. Knives that are disguised under pen, cane, lipstick or belt buckles etc. are legal. Dirks, daggers, stilettos and other double-edged knives are legal. Knife laws in Nevada were a bit tough for the knife-owners but from its latest edit, the laws are now friendlier than ever. It is much easier for the knife-owners, as well as the knife-users as the knife concealing issues, have also been relaxed from the earlier statutes. So, if you are not aware of the updated laws yet, it is better you get to know the coolest recent laws than being confused and worried.